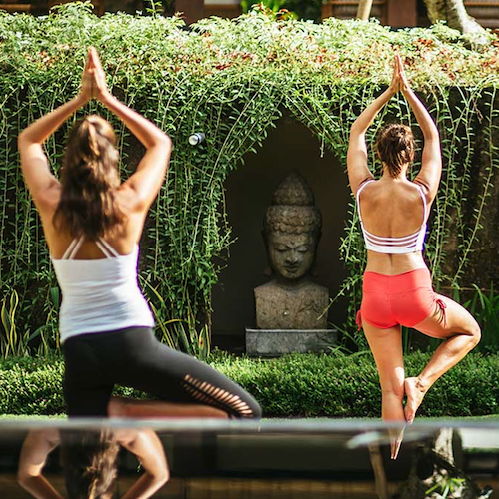 Escape Haven has become known as a leader in the Bali yoga retreat and health escape market with its luxury accommodation, small classes and yoga instructors who have been handpicked as the best in their field. Escape Haven is a women’s yoga retreat with so much more to offer than just yoga. Each day you’ll find yourself plied with wellness treatments in an idyllic environment which was named as the best luxury wellness retreat of the year globally in the 2017 World Luxury Hotel awards and has been number 1 on Trip Advisor for 8 years running. You’ll have a choice of Ayurvedic treatments and massage, nutrition assessments, spa sessions, surfing lessons, meditation classes and of course, two 90 minute yoga classes each day in the purpose-built, air-conditioned studio as well as unlimited yoga at nearby yoga shalas too.. The gorgeous estate, experienced staff and world-class program offer women an incredible Bali healing adventure. Escape Haven requested we audit their existing SEO campaign and recommend a strategy to improve their current performance in a highly competitive market for luxury yoga retreats. With a global market, development of an international SEO roadmap was required. Following the research and audit process, we uncovered additional keywords with 25,000 monthly searches in top 3 key markets and designed a content marketing and internal linking strategy to target these missed opportunities. We are currently in the early stages of our 12 month link building campaign and have already achieved an average organic traffic growth of 15-18% month on month.